Being a member of the LGBT community can be challenging and it is unfortunately very common for people in this category to suffer from mental illness. In spite of the growing awareness and acceptance for different forms of sexuality and gender identity, people in the community are still faced with discrimination and as a result can develop issues with depression. LGBT people tend to have higher rates of depression, anxiety and suicide than people who are heterosexual. This issue is something that must be addressed so that people in the community can overcome the stigma about mental health and seek help for their problems. 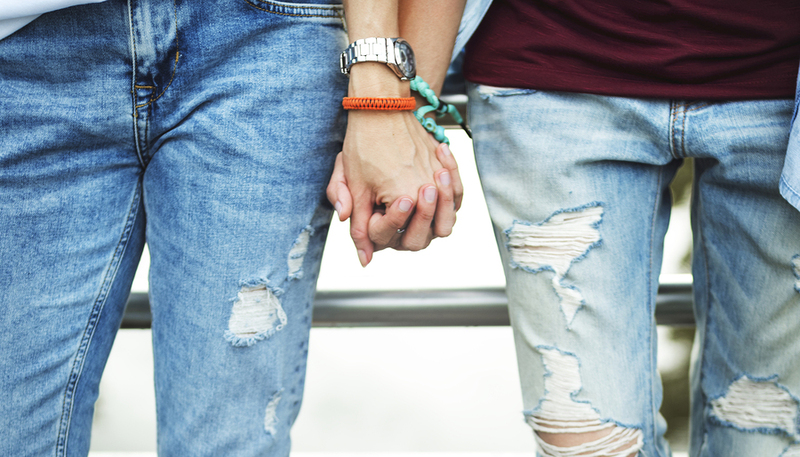 It is crucial for LGBT community members to have access to the healthcare they need and support from mental health professionals who cater toward their specific needs. More importantly, people with different sexual identities need to be supported and accepted in society in order to combat growing rates of mental illness. Those in the LGBT community are often faced with complicated issues of identity at a young age that heterosexual people are not confronted with. The difficulty of discovering their sexuality and being judged for it can have a strong impact on their well being as they grow up. With enough support from people around them and psychotherapy it is possible to minimize symptoms of mental illness. Studies have shown a very strong correspondence between depression and anxiety and being LGBT. According to research the risk of a mental health condition like depression, anxiety disorders or post-traumatic stress disorder is almost three times as high for youth and adults in the LGBT community. Even more disturbing, suicide is attempted four times more often by gay, lesbian, bisexual, transgender or questioning youth between the ages of 10 and 24. Not only are mental health conditions more common but people in the LGBT community are also twice as likely as their heterosexual peers to abuse drugs or alcohol. Depression affects bisexual people the most within the community with 40% having been diagnosed with the disorder. However, depression rates of those who are lesbian or gay are also high representing about 35.2 percent according to a study. Rates of depression in the community also tended to be higher for both young adults and middle aged people between the ages of 18-24 and 35-44. Depression risk was shown to be much lower among heterosexual people across all age groups. About 4 out of 10 people who identify as bisexual have been diagnosed with depression which is more than double the rate of heterosexuals. Depression rates also tend to be higher for transgender individuals who are more likely to be bullied and discriminated against in their daily lives. Their risk for depression is much higher than people who are cisgender or identify with the gender they were born with. Transgender people who are able to make their transition with lots of support have a lower risk for depression. There are various factors that can be identified in connection with depression and sexual identity issues. Research has revealed that personal struggles and secrecy about sexual identity can greatly exacerbate depression. Those who have the opportunity to be open and supported in their identity can find that their symptoms of mental illness improve in many cases. Those who are attempting to hide their sexual identity or are “in the closet” are dealing with a tremendous amount of stress and shame that can contribute to their feelings of depression. These issues can especially put young people at risk for mental health issues as they may be afraid to tell their parents, friends or family members about their identity. Teens and young adults may also be teased or bullied in school for their sexual orientation. It is important for people in the LGBT community to have a positive environment and emotional support so that they can minimize their mental health issues. People who are teased and bullied or hide their identity for fear of being judged are at much greater risk for developing depression and anxiety. Many experiencing depression can help relieve their stress by becoming active in the LGBT community and finding support from like minded people who accept them. Members of the LGBT community that are struggling with alcohol or drug abuse, depression or anxiety can benefit from receiving help from mental health professionals who have experience working with these particular issues. Finding a therapist and an emotional support network that is compassionate and welcoming can both be key to recovering from mental conditions. A positive social environment with lots of support can make it possible for LGBT community members to feel more accepted, experience less stress and avoid struggling with mental health problems.